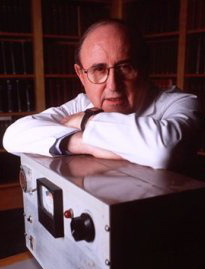 The world-renowned cardiologist Bernard Lown won the Nobel Prize for Peace, (outside his field, so to speak) for putting doctors (starting with the Russian Eugene Chazov, above, who was Leonid Brezhnev’s heart doctor in the 1980s) into the fight against nuclear weapons in a global force called International Physicians for the Prevention of Nuclear War (IPPNW). His professional obsession had been sudden death, one by one, by coronary events. As Dr. Lown says, how could he not try to make a healing connection with the real danger of sudden death, in the hundreds and thousands, maybe millions, by nuclear events? 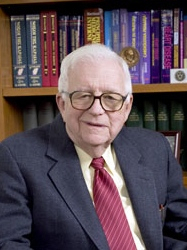 The Nobel recognized in Bernard Lown the doctor-as-citizen to the nth degree, the world citizen, a saint of public health. 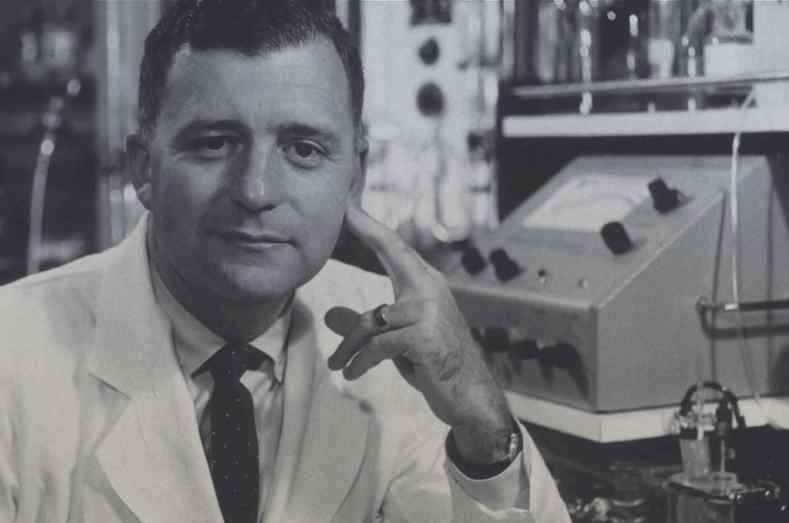 Many heart doctors (also Bernie’s mother) have said he should have won another Nobel Prize, for Medicine, for developing the defibrillator — the now implantable (and universal) electrical restart button for the heart. That’s the story of Bernard Lown the researcher and innovator, the doctor-as-scientist to the nth degree, an experimenter and inventor in the family of Thomas Edison. And then there is Bernard Lown the doctor-as-doctor, the patient’s friend, the hands-on healer to the nth degree. If you haven’t had a touch of Bernie’s doctoring, you’re missing something. The finest interviewer in America is not on radio or television – sorry, Terry Gross; sorry, Ted Koppel. The best interviewer in America is Bernie Lown. He examines you inch by inch. And then he sits there with you in what feels like a sealed room. No interruptions, no distractions of any kind. “Half like a general, half like a bishop,” as Henry James writes about a doctor in The Wings of the Dove. Like Henry James’ doctor, Bernie sets on the desk between the two of you “a great empty cup of attention.” Bernie listens and watches. “You have a unilateral stare,” he said to me a few years ago. “And what does that tell you,” I wanted to know. “It’s your right eye,” he said. “How could you be sure?” I asked. “Does that cost extra?” I checked. Bernie has written in The Lost Art of Healing that the taking of a patient’s history is the most important diagnostic device ever invented; and that touching – the laying on of a doctor’s hands – is the most effective tool in medicine. He is a doctor on the William Carlos Williams model, who is willing and able to become us, to become the patient, for half an hour, or an hour at a stretch. You leave his office, as Henry James’ Milly Theale did in The Wings of the Dove, feeling that you’ve confessed and been absolved. Best of all: months later I realized that under Bernard Lown’s care, my tachycardia was gone. We have just witnessed what doctoring is about. When faced with a dire emergency of sudden cardiac arrest, doctors do not inquire whether the patient was a good person or a criminal. We do not delay treatment to learn the politics or character of the victim. We respond not as ideologues, nor as Russians nor Americans, but as doctors. The only thing that matters is saving a human life. We work with colleagues, whater their political persuasion, whether capitalist or Communist. This very culture permeates IPPNW. The world is threatened with sudden nuclear death. We work with doctors whatever their political convictions to save our endangered home. You have just witnessed IPPNW in action. The patient and the planet survived a while.